Sealed with O rings for convenience. Holes are countersunk for ease in location. 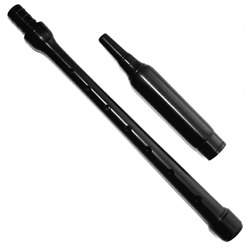 Overall length of 21.75". One reed included. Long. 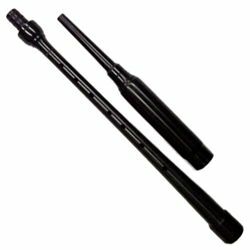 Overall length of 21.75". One reed included. Regular. Overall length of 17". One reed included. Durable polypenco plastic. Child's size. 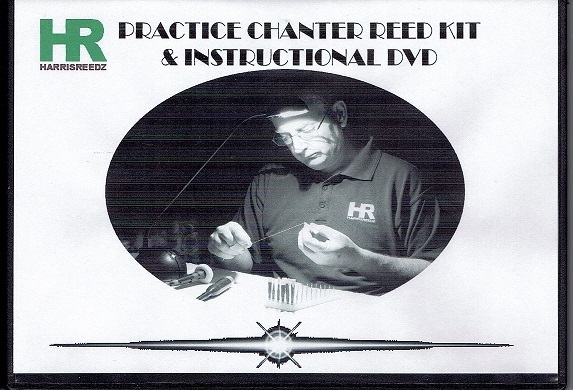 Instructional DVD and Kit by Harris Reedz. 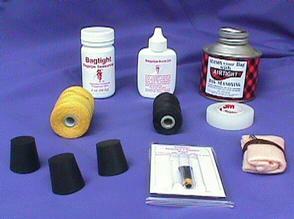 Kit includes white plastic blades, brass staple, yellow hemp, and "pitch shrink". 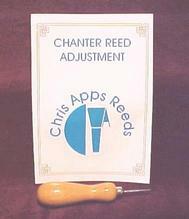 Complete instruction booklet on choosing and adjusting bagpipe chanter reeds as well as the essential tool required to get the best results from your chanter reeds. Clear illustrations and easy to follow instructions. 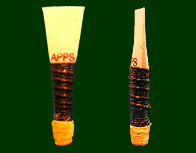 Black Polypenco chanter reed protectors fit over the reed while in the pipe chanter to guard against chipping. Can fit all chanter brands. Manufactured with the same state of the art equipment as the G3 reed with a folded brass staple, but with a pitch slightly higher than the G3. 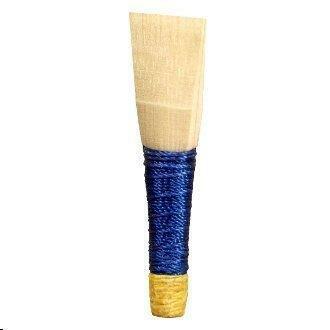 The G4 reed produces a very crisp bright tone throughout the scale and a clear strong high A without a heavy crow. 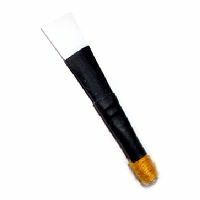 It works well in all the common brands of band chanter. These medium chanter reeds are suitable for most chanters on the market and provides a balanced tone through the scale giving volume but yet a rich tone to go with it. Cane from Spain, France and Australia. 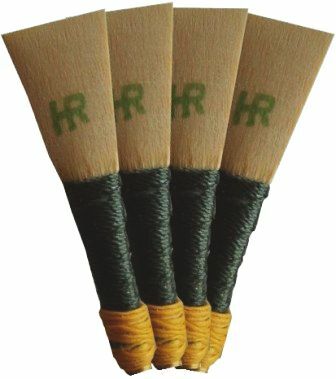 Melvin reeds are crafted by piper Adrian Melvin to meet a high standard of precision sound from a chanter reed. These "precision" ridge reeds work well with a variety of chanters. Made in the USA. 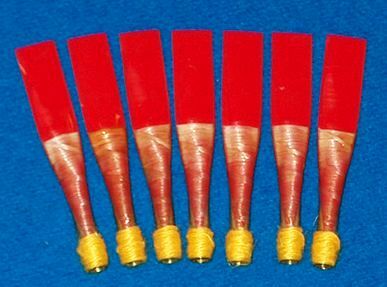 These bagpipe practice chanter reeds are perfect for players who wish to blow a reed with higher resistance and a fuller sound. 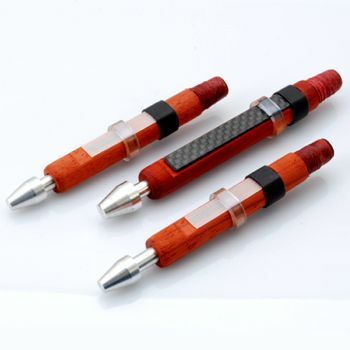 The excellent tone produced works well in long and short bagpipe practice chanters. 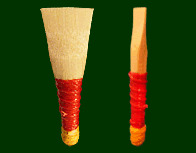 The Walsh practice reed has a traditional long, narrow profile. It is particularly good for softer blowers. 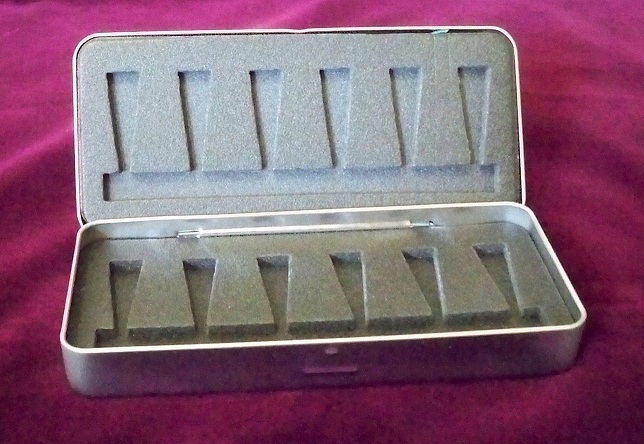 Metal storage case to keep your pipe reeds safe. Small 3 3/4" x 2 1/2" case holds 5 reeds. 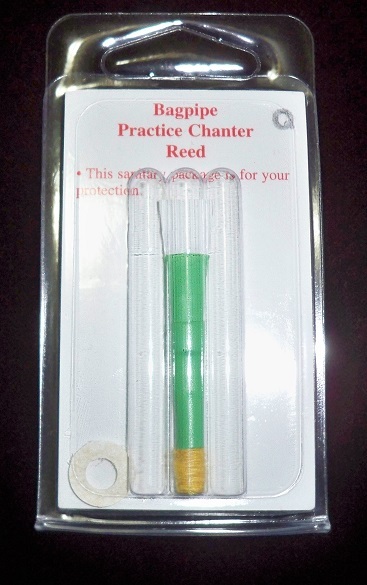 Black chanter reed protectors protect reed from soaking up moisture when you are not playing. Can fit all chanter brands. Prevents air leaks through your mouthpiece. This can be 100 per cent eliminated when you use the "Little Mac" Valve. Does not restrict blowing, instant airtight seal, little or no maintenance, will not dry or wear out, top quality and durability. 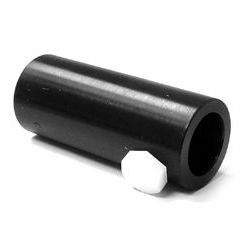 Helps in tuning your pipe chanter. Moisture resistant. Absorbs moisture and preserves the skin. Guaranteed to make any bag that has actually burst.. "AIRTIGHT". Large 180-yard roll. Doesn't swell and bind with moisture or need frequent replacing like hemp does. Black Waxed Bagpipe Hemp. 2oz. See our FOOTWEAR page for Adult & Children's kilt hose and flash options.